Executive producer and co-founder of local clothing brand, Loxion Kulca, Wandi Nzimande AKA DJ 1D is confirmed to set the BBA stage alight this weekend. Not only is he a club DJ but he also has a slot on Kaya FM every Friday and Saturday where he plays the hottest Hip Hop, Jazz and Neo soul, House and Kwaito sounds this side of Johannesburg. Having had business sense while studying at Wits University, Wandi and his friend Sechaba Mogale started making beanies which were instantly popular and that’s how the well-known clothing brand came into being. DJ 1D is the Creative Director for VAN D1 Entertainment as well, a company that handles events, promotions and project management aspects of VAN D1 Communications. He also has his hand in executive producing for TV shows like RGB and Live which broadcast from Urban Brew Studios in Randburg. Is there anything Wandi can’t do? A simple answer would be no. We can’t wait to see what DJ 1D has to offer the Housemates in terms of music come Saturday night. 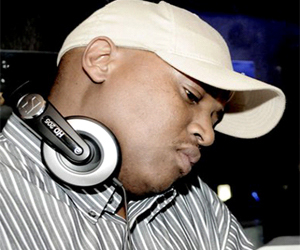 But one thing is for sure, Biggie hasn’t disappointed the Housemates in his choice of DJ’s thus far.